Fractures of the base of the fifth metatarsal can be a diverse and challenging problem for the treating orthopedic surgeon. As surgical fixation strategies have evolved, outcomes are better understood, and patient demands for return continue to increase, the threshold for surgical intervention has lowered. The optimal fixation strategy and decision of the most appropriate fixation construct should be tailored to the individual fracture pattern and patient factors. In general, excellent outcomes with early return to sport can be anticipated both in acute and revision scenarios. There is a trend toward a more conservative return to sport strategy following surgical repair to further reduce refracture rates. 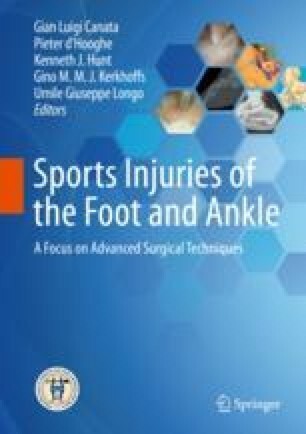 This chapter provides an overview of current treatment strategies for Jones fractures in athletes.